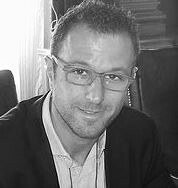 In addition to being Associate Professor of Economics, University of Bologna, he is Affiliated Researcher at the Barcelona Institute of Economics (IEB) and the University of Barcelona; Visiting Scholar at Kellogg School of Management, Northwestern University and Professeur Invité at Université Pantheon-Assas Paris II. He received both his M.A. and PhD in Quantitative Economics from CORE, Université Catholique de Louvain and his PhD in Economics from the University of Bologna. He is the author of numerous papers published in internationally, peer reviewed journals such as Management Science.